at the 2010 IAAF World Half Marathon Championships in Nanning, China. USA Track & Field announced the team roster on Wednesday. Making his second consecutive appearance on the U.S. team will be USA 25 km Champion Andrew Carlson (Flagstaff, Ariz.). Carlson finished 20th in the 2009 edition of the championships. finisher at the USA Half Marathon Championships in January. The women’s team will see four athletes who finished in the top-ten at last month’s USA 20 km Championships. Runner-up Stephanie Rothstein (Flagstaff, Ariz.), will lead the team that includes Loretta Kilmer (New York, N.Y.) who finished 6th in New Haven; Kristen Fryburg-Zaitz (Boulder, Colo.) who finished 8th and Heidi Westover (Walpole, N.H.) who finished 10th. Rounding out the women’s squad will be Samia Akbar (Herndon, Va.). finished fourth, while the Team USA women took fifth. respective men’s and women’s team champions. 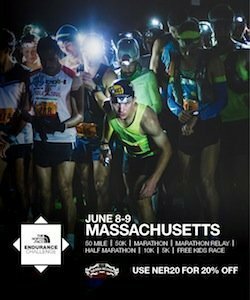 World Half Marathon Championships, visit www.usatf.org. million adult runners in the United States: www.usatf.org.